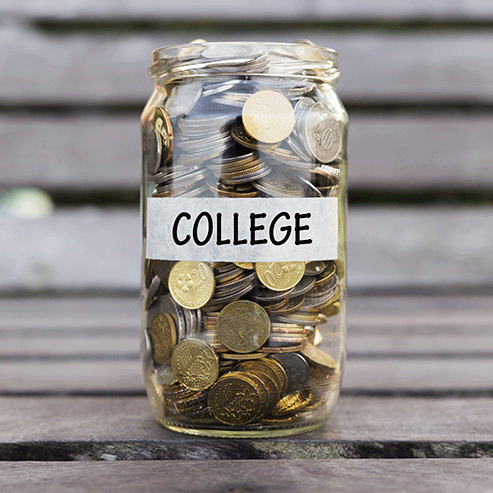 College affordability is an issue that weighs heavily on many people’s minds. And it should. There was a recent story about a public official who was concerned about college affordability. He said he could relate to students who struggle to pay for college because less than 10 years after leaving graduate school, he was still paying off debt for both his undergraduate and graduate degrees. From Harvard. This statement makes me question whether or not he can actually relate to students who struggle to pay. It makes me question whether the masses fully appreciate the college affordability problem. People who can afford to have debt from elite institutions are not those around whom the college affordability discussion should be centered. As state funding for higher education has decreased, more of the cost burden has shifted to students. The student share of total educational revenues at public institutions, as reported by the national association of State Higher Education Executive Officers, has grown from 32 percent in 2005 to almost 43 percent in 2014. The College Board reports that tuition at public four-year institutions increased, on average, 3.5 percent per year over that same period. To cover the rising cost of attending college, many students are taking out loans. According to The Institute for College Access and Success, 66 percent of students who graduated from public four-year institutions have average student loan debt of about $25,000. This is 25 percent higher than the average debt from public four-year institutions in 2008. And those statistics refer only to students who graduate. Many students leave college with debt but no degree or certificate. The national graduation rate is under 60 percent and we know that financial worries lead many students to drop out. We also know that not all students borrow equally. More low-income students borrow, and borrow more. So, yes, college affordability is an issue. It’s about more than rising tuition. College affordability is an issue of equity. We need to be concerned about college affordability. We need to be concerned about students who struggle to pay for college and who struggle to stay in college because they’re concerned about paying basic living expenses. We need to be concerned about single mothers who need to earn an associate degree and first-generation students who are using every resource available to pay to college. We need to think about and frame college affordability in terms of eliminating financial barriers for students who aren’t attending or completing college because it’s too expensive. It’s not enough to simply focus on making it easier for students who can afford—even with debt—to attend and complete college.